TOKYO, Japan – The Federated States of Micronesia and Japan in 2018 will mark 30 years of diplomatic relations with a yearlong series of events in Tokyo. The first will be an exhibit of photography of Chuuk Lagoon and Xavier High School by Floyd K. Takeuchi, which will be on display at the Japan International Cooperation Agency’s (JICA) Global Plaza in Tokyo’s Ichigaya district. “Tropical Light” features 10 large photographs of scenes based in Chuuk Lagoon, and six large photographs of students at Xavier High School, a small Jesuit mission school on Weno Island that has produced many of the Western Pacific’s leaders, including the current FSM president and two of his predecessors. “Tropical Light” opens on December 14, 2017 and will close on January 11, 2018. 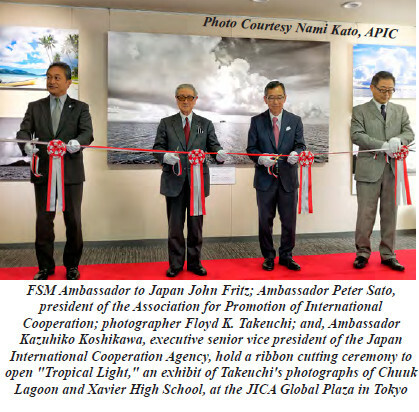 The FSM Embassy and the Tokyo-based Association for Promotion of International Cooperation (APIC) are co-sponsoring the “Tropical Light” exhibition. APIC is a private agency that promotes relations between Japan and the nations of Oceania and the Caribbean. 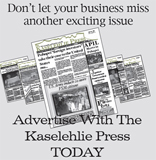 “We’re proud to co-sponsor ‘Tropical Light’ with the FSM Embassy. The photographs show Japan the natural beauty of the islands of Micronesia, and the promise of the future that’s evident in the faces of the students at Xavier High School,” said Peter Y. Sato, president of APIC. President Sato is Japan’s former ambassador to China. 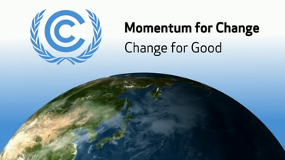 APIC’s executive director, Shoji Sato, is Japan’s former ambassador to the FSM. Photographer Floyd K. Takeuchi is an American journalist who has spent much of the past 40 years working in the Pacific. Based in Hawaii, he was born and raised in the Marshall Islands and his family lived on Saipan for nearly 20 years.